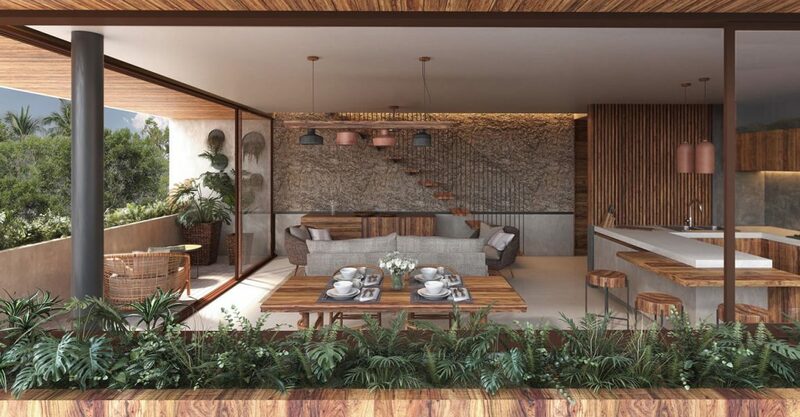 3 bedroom townhouses for sale in Tulum, Mexico within a new complex in Lúum Zama within the prestigious residential area Aldea Zamá. 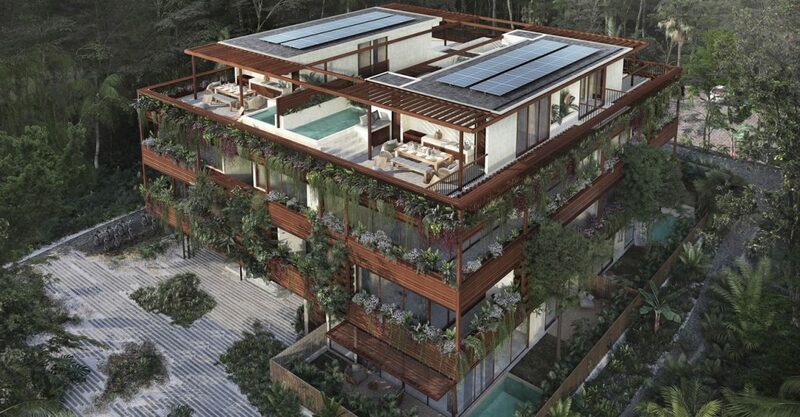 Searching for new condos for sale in Tulum? 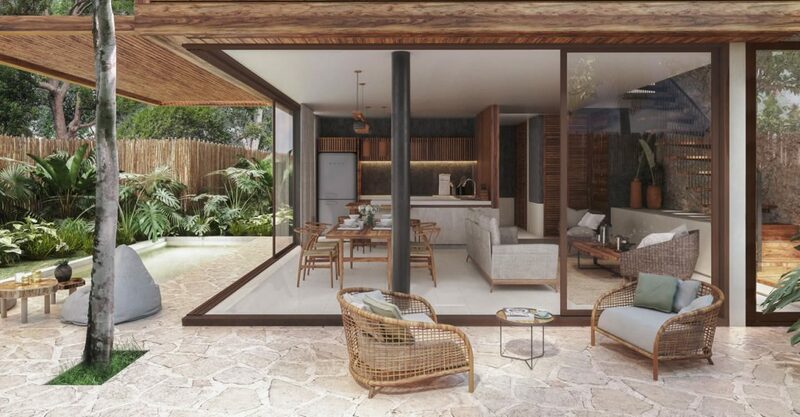 These collection of condos and townhouses is located within a new construction development of townhouses in the gated community of Lúum Zama within the prestigious residential area Aldea Zamá in Tulum on the Caribbean coast of Mexico. The project comprises a cluster of units of various sizes set around a central courtyard. 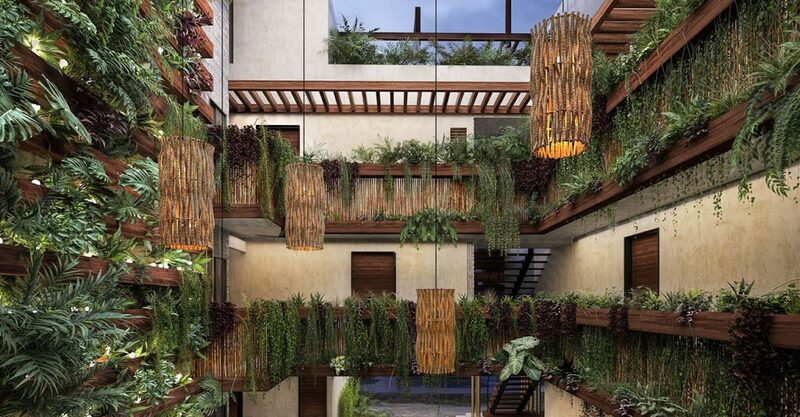 The townhouses are designed to merge perfectly with the surrounding lush vegetation to achieve a sense of harmony with nature. 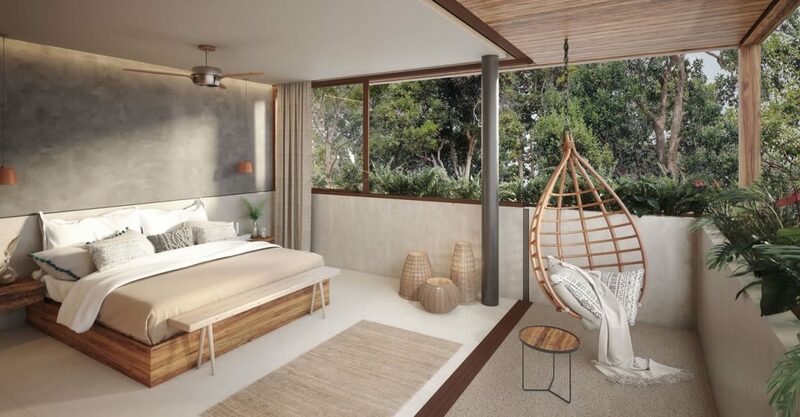 All units will therefore offer sublime views of the tropical greenery. Further enhancing its green credentials, buyers will have the option to add solar panels to their property. Buyers can choose from a selection of formats, including 1 bedroom condos, 2 bedroom penthouse condos and 3 bedroom townhouses. The 1 bedroom boutique condos include a spacious living room, full kitchen, laundry room and a private terrace. They would make a wonderful vacation property or investment for the rental market. The 2 level penthouses include a private terrace and a pool located on the rooftop. Offering comfort, space and privacy, these units are perfect for buyers looking for a vacation home. 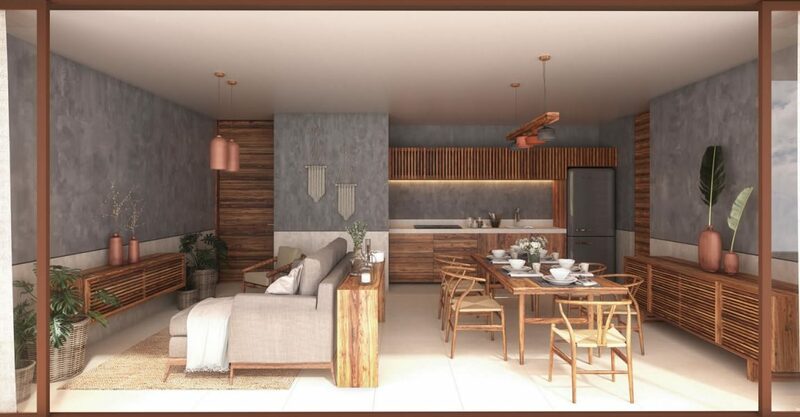 The beautiful 3 bedroom townhouses include a large open plan living room with sitting area, dining area and full kitchen, 2 bedrooms, as well as a spacious garden with a private pool and a covered balcony. 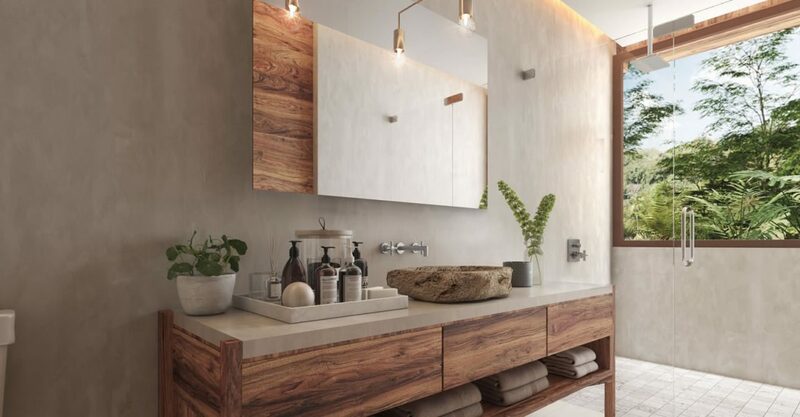 Thanks to a lock-off system, the townhouses can be divided into multiple units which can be rented out separately, maximizing rental income generating opportunities for those looking for a Return on Investment. 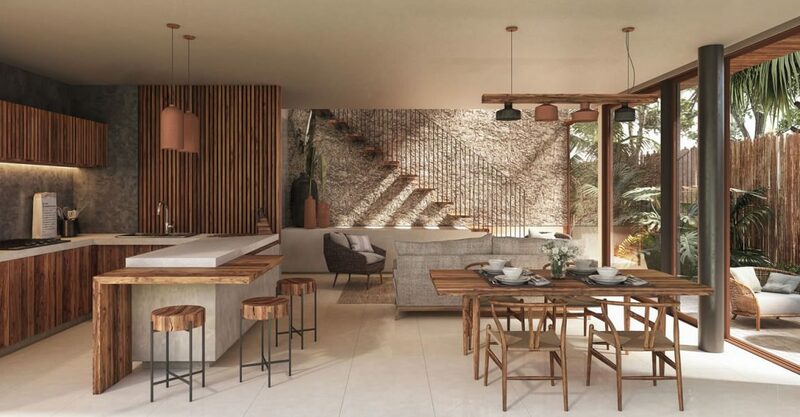 The community of Lúum Zama in Tulum’s Aldea Zamá is a prestigious enclave ideal for nature lovers. 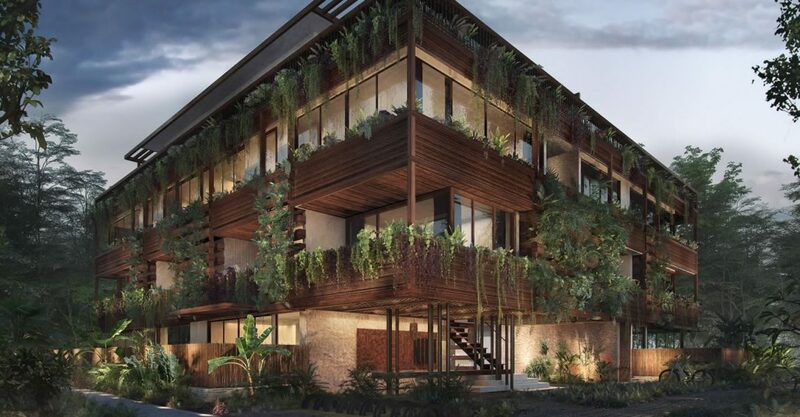 It is ideally located in the heart of Tulum, in walking distance to the beach, restaurants, downtown and fascinating historical sites. 60% of Lúum Zama will be set aside and strictly preserved. 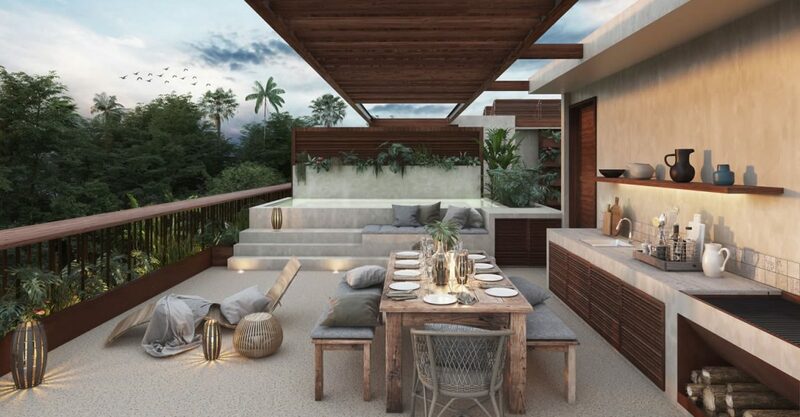 Residents will enjoy exclusive use of a range of amenities within the complex, including a clubhouse and spa, temazcal, amphitheater, yoga palapa, open-air gym and swimming pool. The complex also benefits from 24 hour concierge, elevators and a fire protection system.